We are proud and excited to announce that the School of Visual Arts in New York (SVA) has added Tarek Atrissi to its list of “Notable Alumni”. The addition comes as recognition from SVA to the various accomplishments and success of Tarek Atrissi, the school’s graduate in 2003 (MFA Design department). 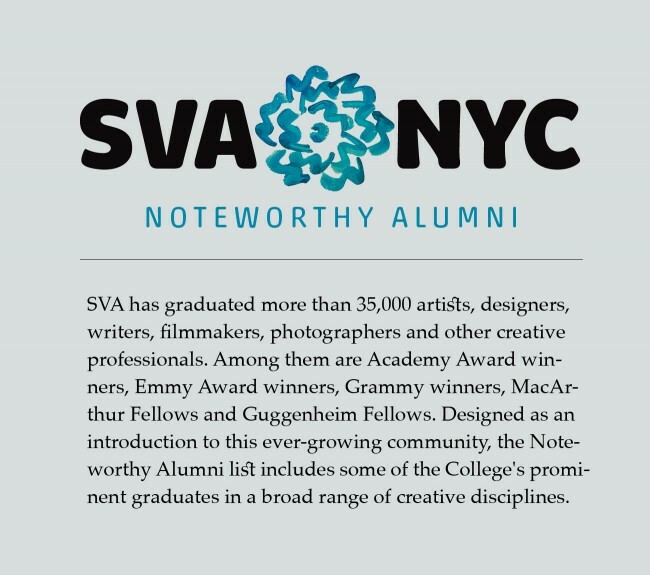 Only 15 graduates from the Design departments of the school have been added to date to SVA’s Alumni Noteworthy list, the first of them being graduates from 1984. SVA has graduated more than 35,000 artists, designers, writers, filmmakers, photographers and other creative professionals. Among them are Academy Award winners, Emmy Award winners, Grammy winners, MacArthur Fellows and Guggenheim Fellows. Designed as in introduction to this ever-growing community, the Notable Alumni list includes some of the College’s most prominent graduates in a broad range of creative disciplines.